Catalonia may be synonymous with sun, sea and surf, but it does not hibernate during winter. In fact, the snow-covered scenery opens up a new world of possibilities, particularly for those seeking winter getaways from Barcelona. Barcelona locals and travel enthusiasts will undoubtedly be familiar with Baqueira Beret. Located high up in the snow-tipped Catalan Pyrenees, in Val d’Aran, Baqueira Beret is known as the largest (and to some, the favourite) ski resort in Spain since it opened in 1964. It’s even become a favourite of the Spanish royal family. Those who are serious about skiing (whether novice, intermediate level, or pro) set off for the resort every winter, where 2,166 hectares of ski area await. 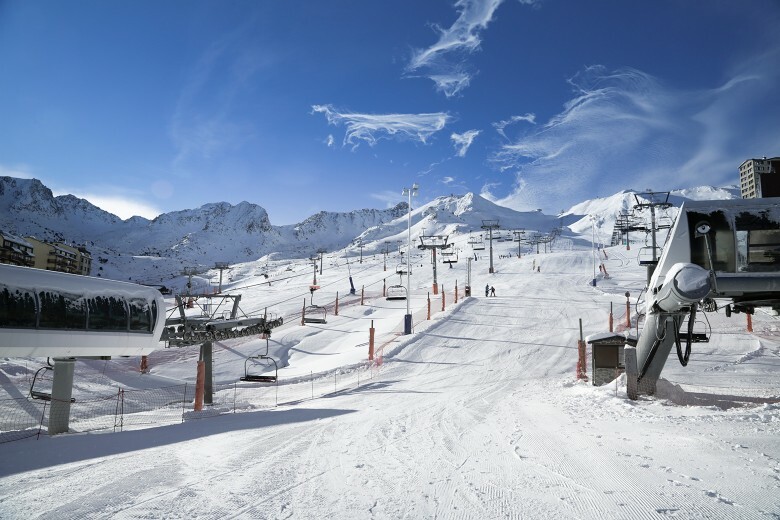 Comprising Baqueira, Beret, and Bonaigua, the resort presents everything from beginner slopes to challenging off-piste terrains. 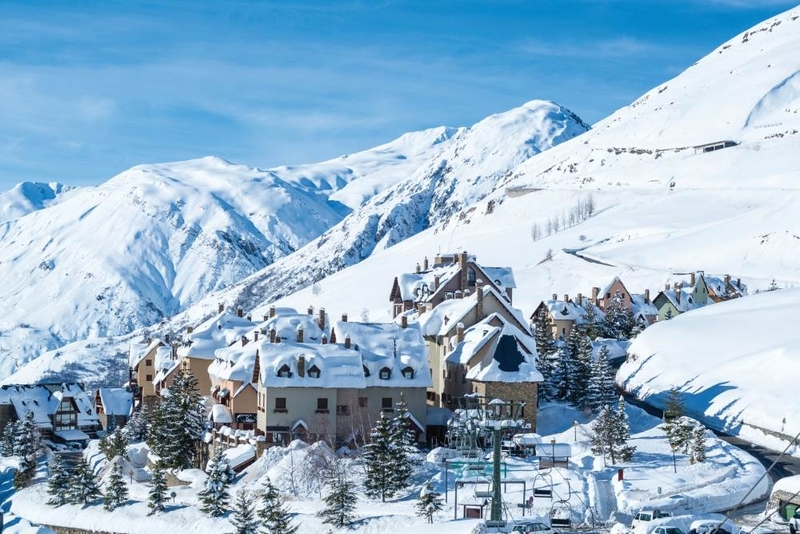 Apart from picturesque ski scenes and –schools (which include snowboarding courses) and a modern lift infrastructure (the top lift rises to a decent 2,516m), Baqueira Beret is also committed to guided tours, snowshoeing, play parks for children, and sleigh rides with dogs or horses. As far as non-skiing activities go, visitors can enjoy some spa therapy, picnics, shopping and dining (the local cuisine scene enjoys a distinctive French flavour, provided at various fine mountain restaurants and tapas bars). In terms of accommodation, holiday goers can choose from a variety of relatively inexpensive options (compared with other Alpine resorts), including holiday rentals and lavish hotels. Located: Aran Valley and Àneu Valley Lleida, Catalonia. Andorra, a tiny country between Spain and France, situated at an average of 2,000 m above sea level and reaching 3,000 m at its highest point. Although a perfect getaway spot throughout the year, ski season is from November to March. That is when the country becomes a winter wonderland. It has the highest density of ski lifts in the world, and its more than 300 km of slopes and 183 runs are perfect for skiers of all levels. 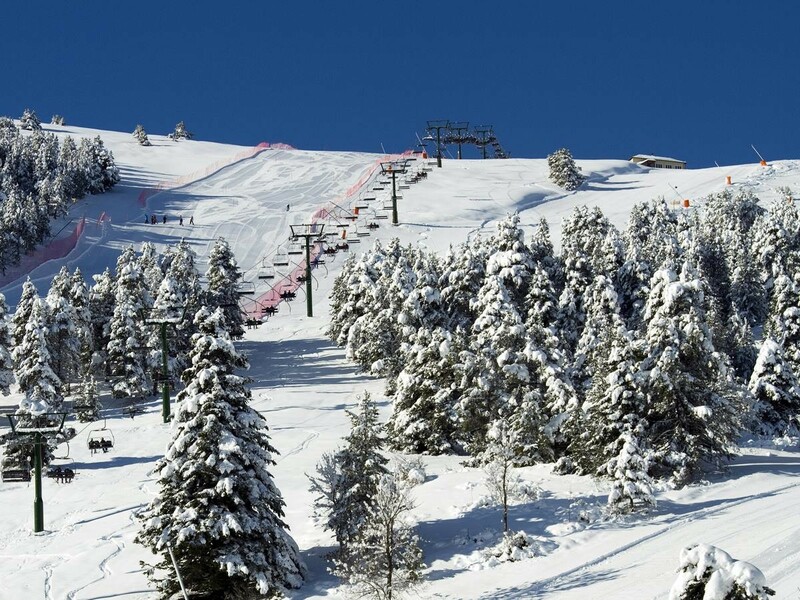 The two main ski areas are Vallnord and Grandvalira, both of which are the perfect winter getaways from Barcelona. In addition to skiing, outdoor enthusiasts can also revel in dog sledding, snowboarding, ice skating on Andorra’s indoor ice rink in Canillo, snowmobiling in Pas de la Casa, the 5½ km toboggan in Naturlandia, and various helicopter trips. Those looking to catch up on rest and relaxation should visit Caldea Spa Complex. Its various indoor- and outdoor swimming pools, Jacuzzis and hydrotherapy sections attract over 400,000 visitors annually. Tourists are advised to check the weather before booking their trips, as a lot of passes and peaks get shut down during periods of very high snowfall. Located: In the Pyrenees mountain range surrounded by Spain and France. As far as winter getaways from Barcelona go, Vall de Núria is exceptional in that it can’t be reached by vehicle. Instead, guests park in one of the villages at the bottom of the mountain before travelling up on a special rack train. Ski season in Vall de Núria officially runs from December to April, even though snow can begin to fall as early as October. Skiers can choose from 11 runs, which cover 7.6km of slopes, perfect for beginners, intermediate skiers and experts. Other popular winter activities include snowboarding, snow-tubing and sledding (which is also included in the children’s play area), and guided trips with skilled mountain guides. Those who feel adventurous can try ice scuba diving in the lake, one of the more unique activities available. Dining options at Vall de Núria differ depending on the season, with guests getting to choose from snack / sandwich type cafés to full-service restaurants that also offer buffets. and the Alberg Pic de l’Àliga hostel situated about 1km up the slopes, accessible via gondola. Located: In the eastern Pyrenees mountains in Queralbs, Girona, Catalonia. Located in the very unique region of La Cerdanya, La Molina is a picturesque town that becomes even more breathtaking from December to April. That is when the snow-covered mountainous landscapes attract tourists seeking winter fun. 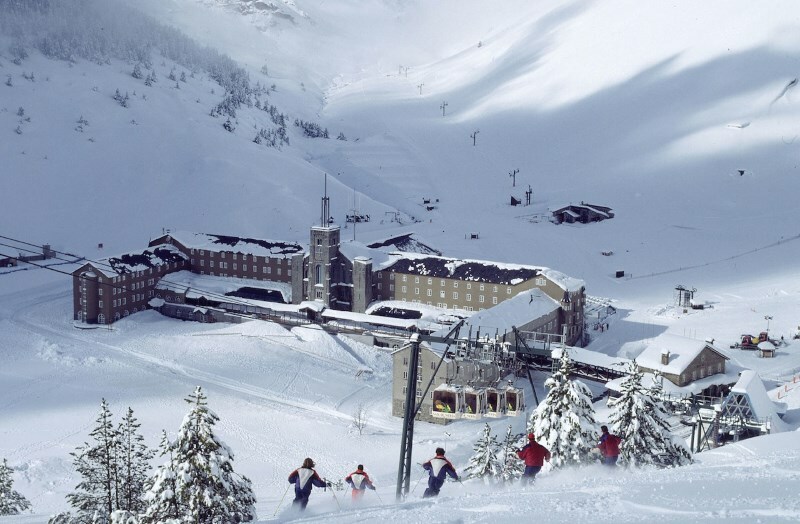 As the oldest ski resort in the Pyrenees (the first ski lift was opened in 1943), La Molina has become a modern and innovative resort that caters to a variety of tastes. It has 53 ski slopes at an altitude of 1700 to 2445 m above sea level, and 61 km of ski runs at various levels of difficulty, attracting everyone from novice skiers to experts to families with children. Numerous equipment rentals, nine ski schools and 400 instructors ensure a visit to La Molina is as comfortable and convenient as possible. Winter activities at the resort include two snow parks (one of which hosted the world snowboarding championships), runs through the picturesque scenery (with trekking organised on snowshoes), rides on dog sleds and snowmobiles, a snowcat visit to the 4×4 race track, and the inflatable pontoons at the winter playground. It is also recommended to try one of the local charming restaurants specialising in exquisite Spanish cuisines as an après ski activity. Located: On the Spanish side of the Pyrenees mountains in the province of Girona, Catalonia.